Shot during a Masterworks performance by the Ensemble for Anglia Ruskin University, these photos capture a performance and our desire to engage and make a connection with the audience. Introduced and led by artistic director, Peter Bussereau, we explored the story behind this great masterwork to highlight the imaginative genius of Antonio Vivaldi. This second performance of the year in association with our partner, Anglia Ruskin University, was made possible by their Faculty of Arts, Law & Social Sciences' creative use of an everyday space. 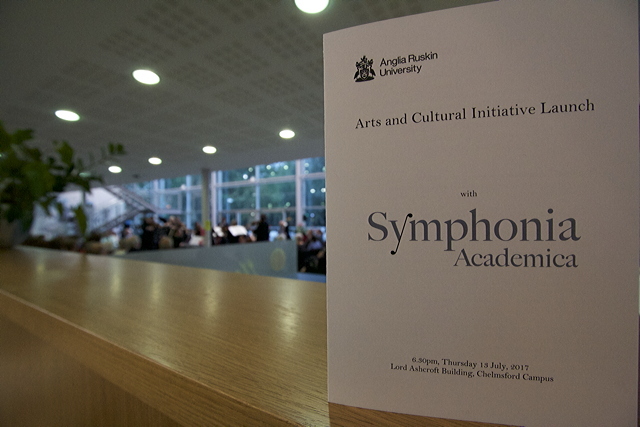 Director of Music and Performance, Paul Jackson, had recognised the acoustic potential of the University's Lord Ashcroft Building and managed to convert the reception area into a contemporary performance area for one Summer's evening in 2017. 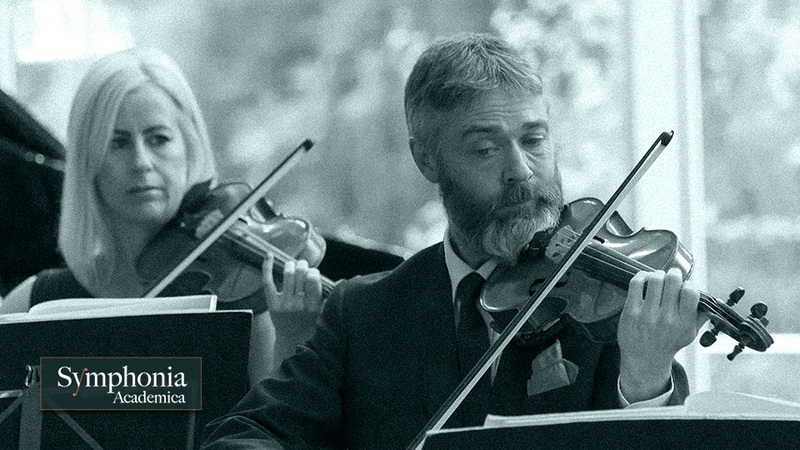 Our aim is to always make a connection with an audience and share our love of string quartet and chamber music. Our performances are characterised by the creative mix of works. This Masterworks performance included pieces by Delius, Fanny Mendelsson and Burt Bacharach. High resolution copies of these photographs of Symphonia Academica are available from media@symphonia-academica.co.uk for use by press, media, promoters and concert organisers. General media download are available from our media page. Symphonia Academica is proud to be actively working in partnership with Anglia Ruskin University.